What to Do With an Empty Plowed Field of Grey Dirt? It is just after 6:00am in Amherst, MA as I publish this blog post. I am still working on putting the finishing touches on “What Makes a Great Natural History Image.” (SAT and SUN 10:30 till noon.) After a rough start with Photoshop entering the Twilight Zone of its own free will and volition my Photoshop Workshop really got rolling; everyone learned a ton and went home with a copy of Digital Basics. My programs are being generously sponsored by the Canon USA Explorers of Light group. Please stop by and say “Hi.” This post, which took me about 90 minutes to prepare, marks 224 consecutive days with a new educational blog post. With so many folks getting in the habit of using our B&H links and our Amazon logo-links why quit now? April, May, June, and July have been fantastic as lots of folks are getting the message; using my affiliate links does not cost you a penny and helps support my efforts here. To show your appreciation, I do ask that you use our B&H and Amazon affiliate links on the right side of the blog for all of your purchases. Please check the availability of all photographic accessories in the BIRDS AS ART Online Store, especially Gitzo tripods, Wimberley tripod heads, and the like. We sell only what I have used and tested, and know that you can depend on. We will not sell you junk. 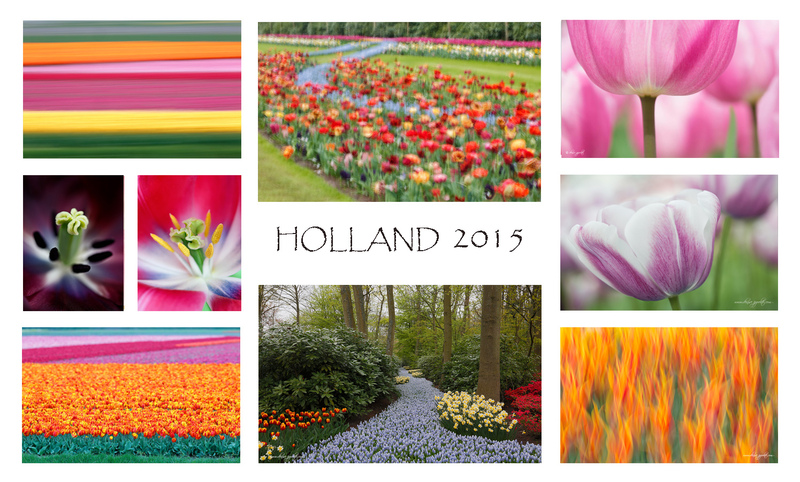 We know the tools that you need to make creating great images easy and fun. And we are always glad to answer your gear questions via e-mail. 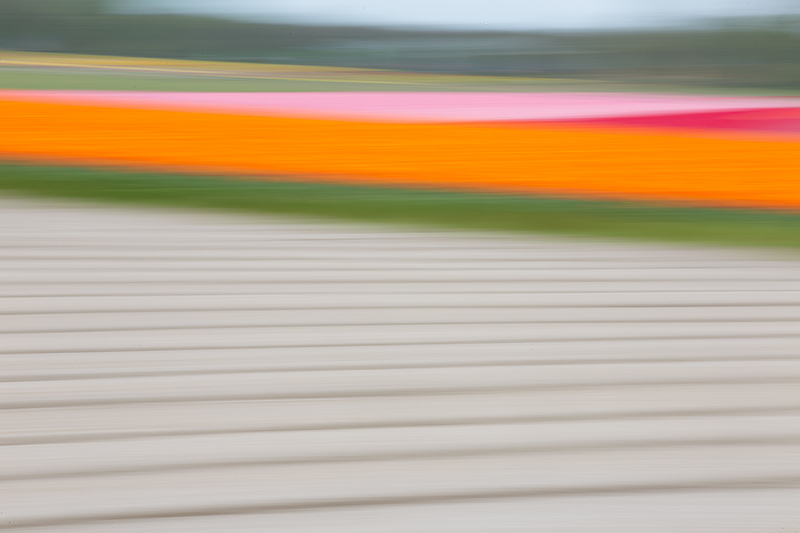 This image was created at Lisse, Holland on last April’s Tulips and a Touch of Holland IPT with the hand held Canon EF 70-200mm f/2.8L IS II lens (at 140mm) and the Canon EOS-1D X. ISO 50. Evaluative metering + 1 stop as framed: 1/5 sec. at f/29 in Manual mode. I created this image almost as an afterthought as we headed back to our vehicles after our morning photography session. The field of grey dirt did not get anyone excited and I am not even sure what caught my eye. But when I saw the image on my laptop the contrast of the colorless almost featureless grey foreground furrows with the brilliant patches of tulips in the upper part of the frame really worked for me. 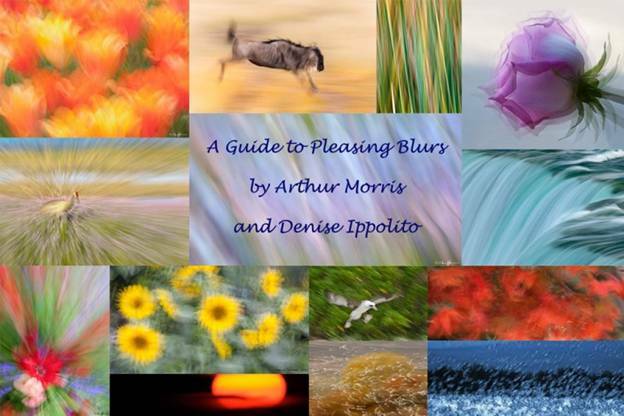 Denise and I did a new version of our joint program, “Creating Pleasing Blurs” for a big crowd at the NECCC conference tonight and I must say modestly that we really knocked it out of the park. Today’s image was the last one that I put in the program and it was quite well received. Does This Image Work for You? Does this image do anything for you? Take a minute to leave a comment and let us know what you liked or what you do not like about it. And do let us know why. 3 comments to What to Do With an Empty Plowed Field of Grey Dirt? I can see the field in my mind and I can see me walking right by it and not giving it a second thought. Then I look at what you did with it and realize that you may not be able to make a silk purse out of sow’s ear but this shot comes pretty close. It’s not that you are taking bad shots and, through the use of filters, trying to create art. You took the existing field and shot it as art. It’s simply a matter of recognizing the possibilities. Well done! Many thanks Ron for your kind comments.